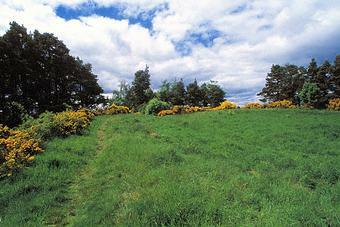 Craig Phadraig is a hilltop fort within a Forestry Commission plantation, 2.5km west of Inverness. It occupies a position with excelent views over the Beauly Firth. The rectangular area enclosed within the ramparts measures 75m x 23m. Radiocarbon dating indicates that the fort was built in 5th or 4th century BC. The site comprises two steep ramparts, which are mainly grass grown. These were constructed of timberlaced stonework and then burnt, producing extensive vitrification. A vitrified part of the wall can be seen near a pine tree at the northern end. The rampart was founded on the natural turf, no previous preparation having been undertaken except the marking out of the line of the wall. In some cases it is suggested that the rampart was founded on a raft of logs, but no examples of this type appear in this area. The revetting walls were carefully constructed, each occupying about one-third of the total width of the wall at the base, and gradually thinning as the structure reached its full height. The lowest yard (m.) is invariably constructed of very large blocks to provide an adequate foundation, while above this smaller blocks were used, and frequently timber lacing was introduced into the design. Clear evidence of horizontal timber beams running from the inner revetment into the core was found at Craig Phadrig, and circumstantial evidence supports a network of horizontal, transverse and vertical limbers tying the inner revetment thoroughly to the core. 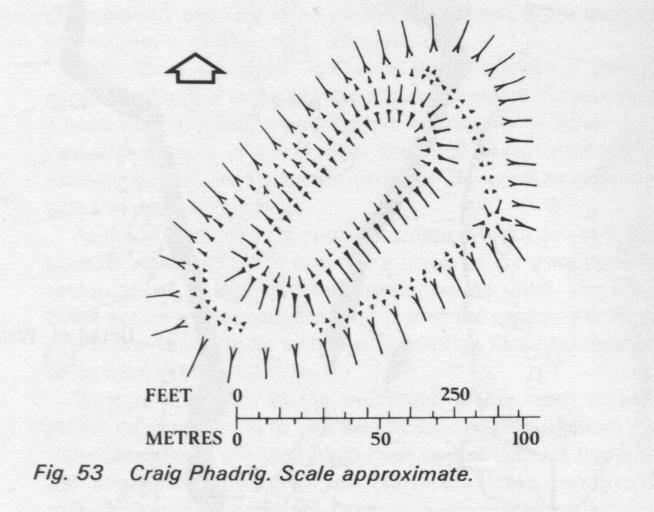 Although timber beams appear in the outer face of some continental forts, they never did so at Craig Phadrig. Besides its value in tying revetment to core, limber lacing has the advantage of preventing a large section of the core "running" should the outer revetment be breached by attackers. If that happened, a natural causeway would be provided for the invaders. 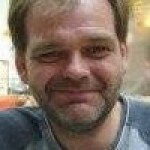 Furthermore, timber lacing has the properly of spreading the weight-load in a massive structure. Brochs built entirely of dry stone, without any timber lacing, frequently show intensive shattering and cracking of stones in the lower courses due to the pressure from above.